Until I started growing food, I didn't realize how much of our food supply was dependent on insects for production. Now, that I do grow most of our food, I made it my mission to make my homestead a pollinator sanctuary. 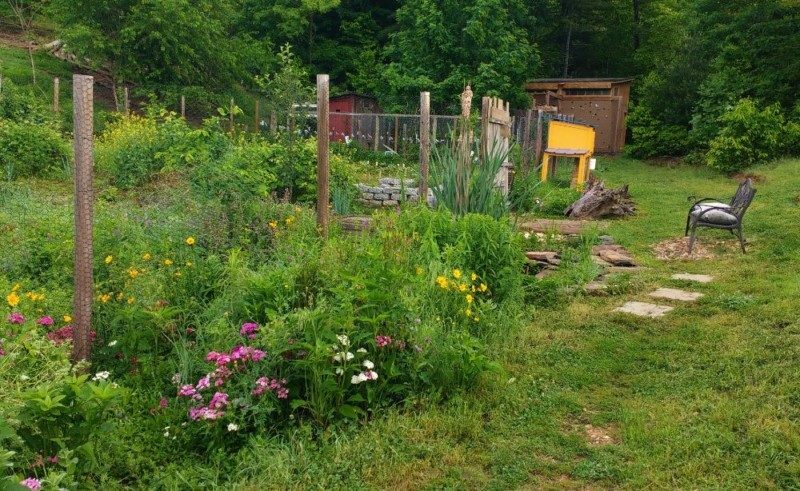 Using just a few easy strategies, I have created a beautiful haven for my thriving year-round population of beneficial pollinators including everything from bees to birds, bats, beetles, butterflies and beyond! 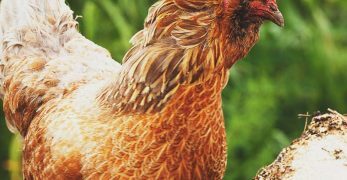 Because I have seen so many positive benefits in my food production, I have now also made it my mission to share the benefits and strategies that have worked for me, with every homesteader or gardener I can reach. 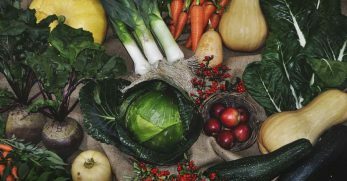 If you want better food production plus a chance to contribute to our environment positively, then read on! There are a ton of great reasons why you want to encourage pollinators in your garden. I am going to share my five favorites to get you started. Once you see the benefits in your garden though, I bet you'll discover lots of other reasons to be glad you made pollinators a priority in your landscape. In some cases, having pollinators around at precisely the right time is critical. 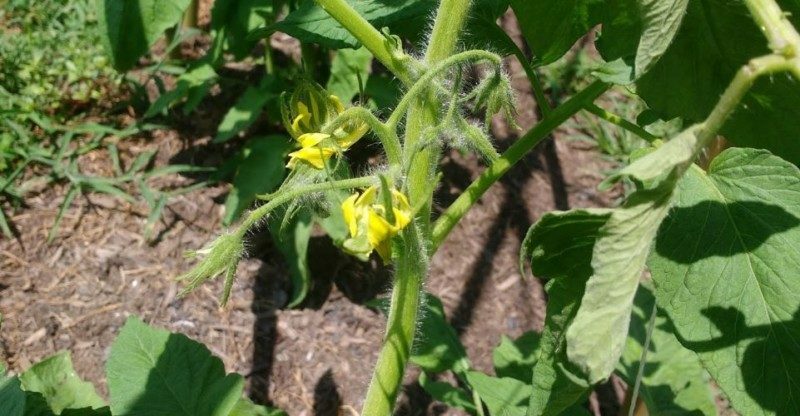 For example, most cucumber flowers only open for one day. Roughly 300 pollen grains from a male flower must be transferred to the female flower in that short flowering period. That requires visits from multiple pollinators to each flower for the transfer to occur. 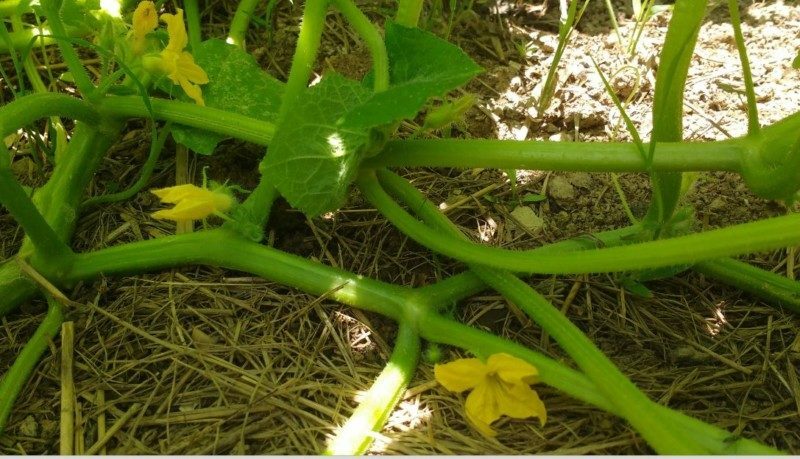 If a female flower is not pollinated, it will fall off and not produce a cucumber. 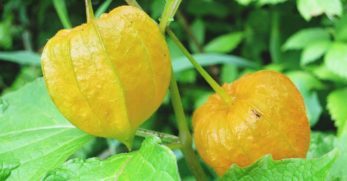 If it is only partially pollinated, it may begin to set fruit. However, the cucumber will be stunted. It may be full-sized on one side and shriveled up on the other. 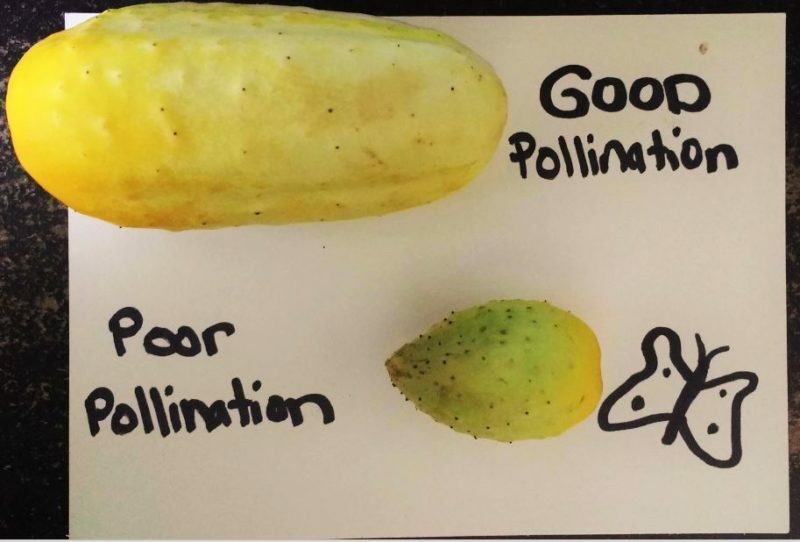 Since cucumbers can bloom for weeks or longer, making sure you have lots of pollinators around when each flower blooms is the only way to ensure good yields. If you don't have sufficient pollinators on your homestead, then you have to do this by hand, and that ends up being a lot of work! Even when pollinators are not required for plants to form fruits, they still perform useful functions. For example, have you ever seen those little white rice-looking things on the back of the tomato hornworm? Those are the eggs of a pollinator called a braconid wasp. It is also often referred to as a parasitic wasp. 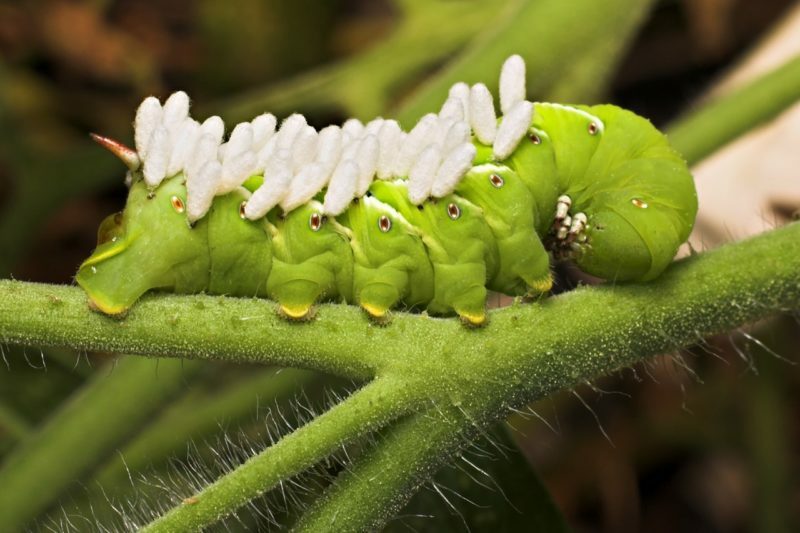 The larvae will devour the extremely destructive hornworm as they hatch and grow. 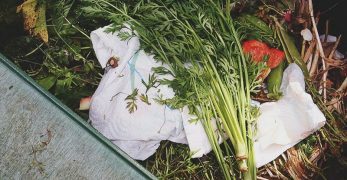 If you grow large stands of tomatoes, peppers, eggplant, and potatoes, you could spend all day checking for and hand-picking hornworms. Or you could create a pollinator garden to bring more braconid wasps into your landscape. Other pollinators like Lady Beetles eat aphids. Tachnid flies can help control your populations of caterpillars, beetles, sawflies, borers, green stink bugs, cutworms, codling moths, tent caterpillars, cabbage loopers, and gypsy moth larvae. Hoverflies eat scales, thrips, and other small pests. As these tiny predators fly around, hunting, and helping to control garden pest problems, they also bring pollen to many of your plants as a bonus! 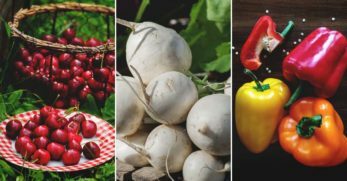 Not all food crops require pollination. 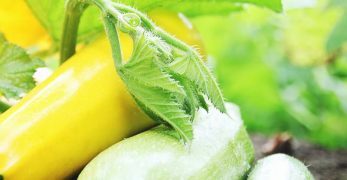 Tomatoes, heirloom or not, can produce just fine without cross-pollination from insects. They are technically what you call ‘self-fertile.' 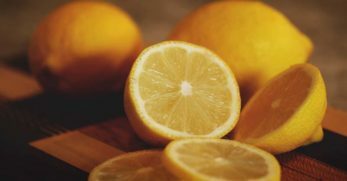 However, cross-pollination improves the quality of the fruit set and increases production even in self-fertile plants. 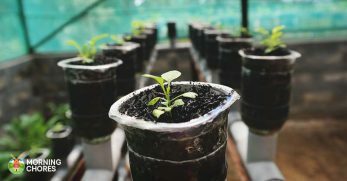 Genetic diversity, developed through the cross-pollination of self-fertile plants, improves the quality of seeds saved for future use. 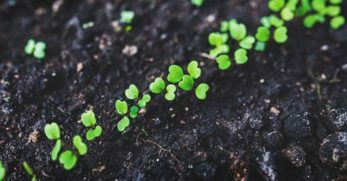 Plants develop better disease resistance and adapt to your growing conditions faster than without cross-pollination. Ultimately, this can boost your productivity in the long-term. Self-fertile plants tend to have less pollen than those that require pollination. As such, unless you have a thriving pollinator population, many self-fertile flowers will never get visited. For this benefit to work in your favor, you need lots of pollinators in your garden. Pollinator dependant plants happen to be some of the most preferred crops for human use. 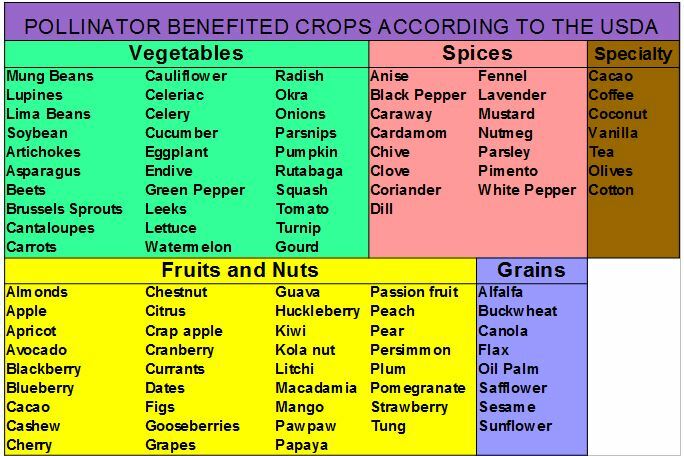 Below is the full list of common human-used crops that use pollination to either set fruit or make seeds. 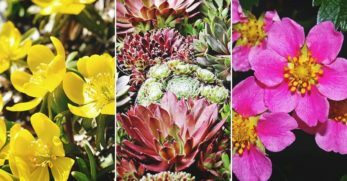 Do you have any of these in your garden or yard? How about your pantry? Or, even your cellar? I don't know about you, but I'd guess that pollinators help grow about half my food supply. They also help grow most of what I wear on my homestead – as in cotton! Despite their incredible contributions to our human lives, many pollinator populations are currently in decline. There are numerous reasons why these pollinators are struggling to survive. 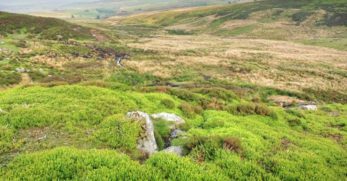 Loss of habitat and available forage are the biggies. Use of certain pesticides is another contributing factor. Climate change is yet another. Individually, we can't do much about climate-related factors impacting pollinator populations. 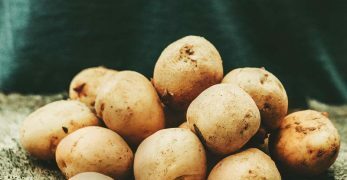 However, we can certainly limit our use of pesticides and use organic methods when possible to grow our gardens and our foods. 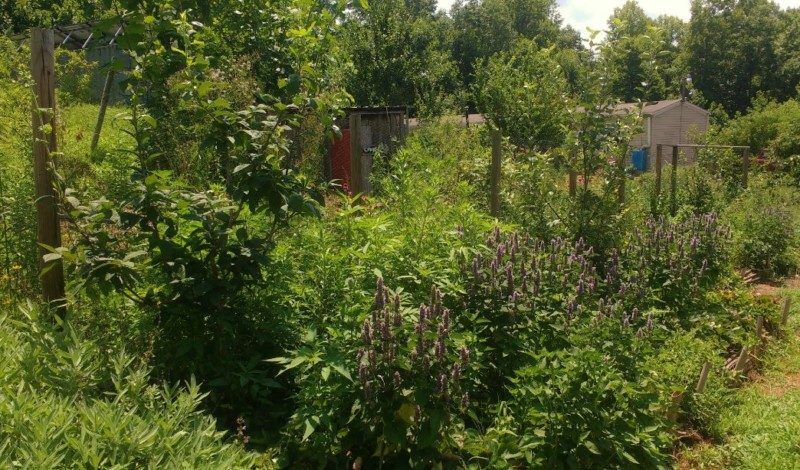 As homesteaders, many of us also have space and the skills to create more pollinator habitat and forage to keep pollinator populations growing strong. 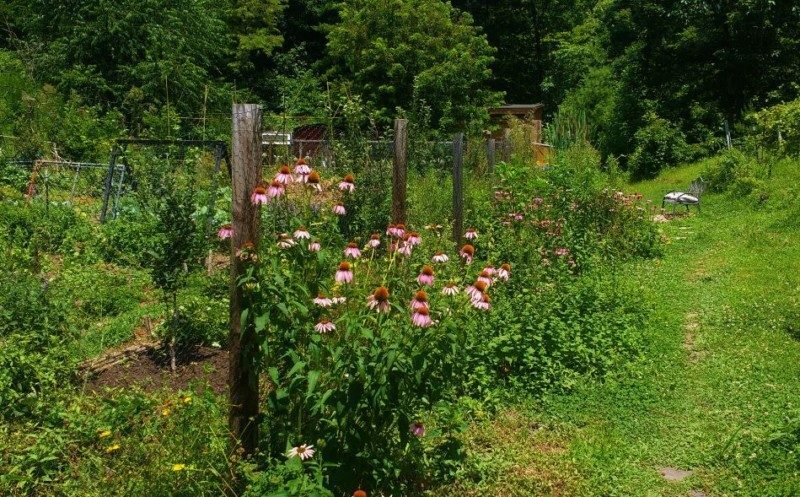 If this sounds like something you want to be part of, then read on for tips to make your homestead a pollinator sanctuary and grow more high-quality food in the process. Now you know how important it is to keep pollinators happy. 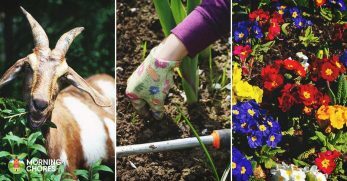 Let's get to work transforming your homestead garden into a pollinator sanctuary with these easy strategies. Just like us, pollinators can't survive without adequate and nutritious food. Since pollinators start searching for food as soon as the weather warms up, even in winter, thinking about providing pollinator food in the shoulder seasons is a good place to start. 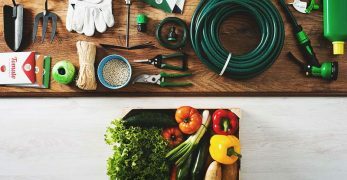 Most home vegetable gardens get going from May to September (depending on your planting zone). During this time, pollinator food should be plentiful. 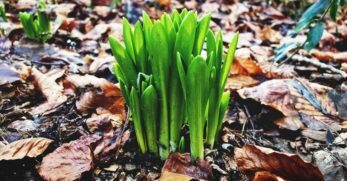 Focusing on adding plants that flower from October to April can give pollinators a big incentive to stick around your homestead year-round. 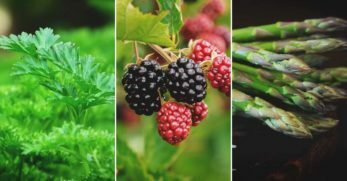 Here are some ideas for shoulder season forage that not only help pollinators, but can add beauty, erosion protection, and potential new food sources to your own homestead line up. Red Bud and Maple flowers are great early food for sources for pollinators. Many cultivated varieties make beautiful specimen plants in a home garden. If you grow early mustard and arugula, allowing large stands of those plants to flower makes for another good initial food source. Then you can save the seeds to plant later. Allowing cold weather “weeds” to flower is also a good strategy for feeding your pollinators when the weather is still cold. Dandelions, henbit, cress family plants, and early flowering annual grasses and clover can all help fill the food gap. Hellebore, camellia, columbines, hyacinth, and violets are also some early flowers that have worked well for me in USDA Planting Zone 7. 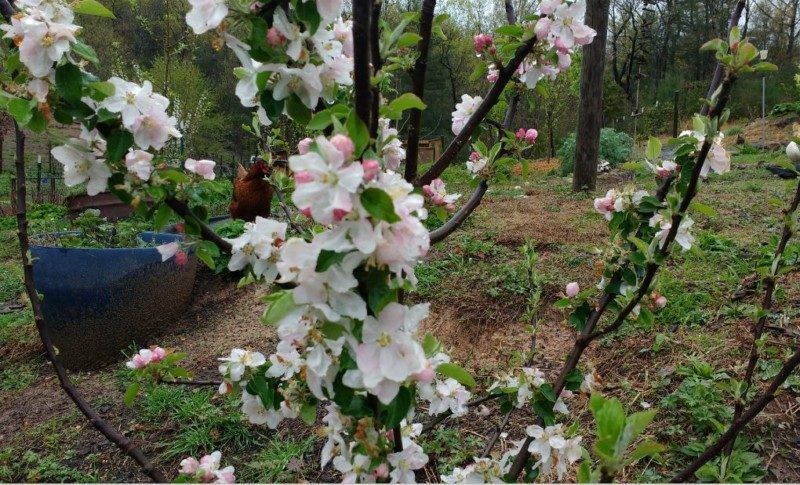 Depending on your climate and chill-hours, many fruit trees like cherry, apple, plum, and others make magnificent early season blooms. Berry bushes like currant, early season blackberry, aronia, strawberry, and others can keep pollinators happy too. On the herb front, English lavender blooms earlier than French varieties. Dill and coriander like to flower as soon as the weather warms slightly. Since these herbs are great to grow to use the seeds as a spice, they can enhance your meals too. 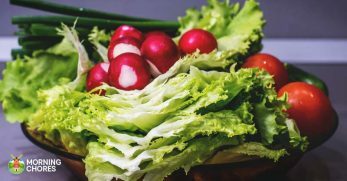 In the same way that our attention is attracted to giant mounds of tomatoes, heads of lush lettuce, and piles of peppers on display at our local market, pollinators are drawn to large groupings of their favorite foods. To offer the most attractive forage for your pollinators, group plants together for bigger impact. Alternatively, choose big plants that will flower heavily and cover a 5-foot diameter area. For example, a single butterfly bush plant can grow to 5 feet tall and wide. That one plant can have a huge impact. 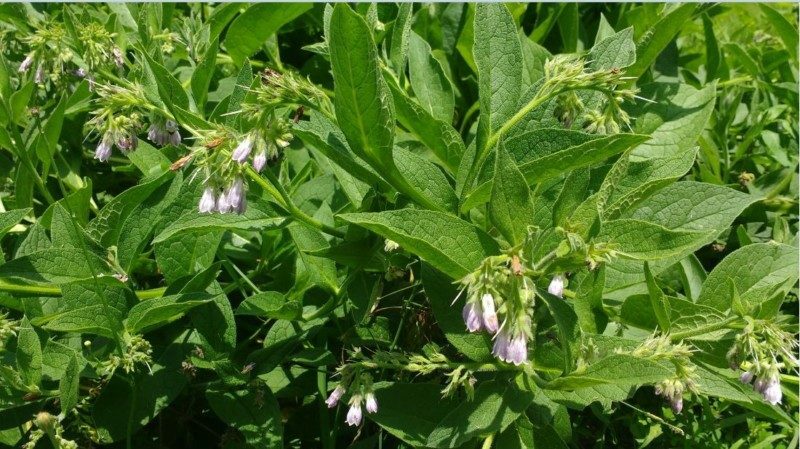 Comfrey is another good choice for a big impact. Bee balm, on the other hand, usually only takes up 1-2 feet in diameter of planting space. You can plant one butterfly bush or 4-5 bee balm plants for a similar impact. 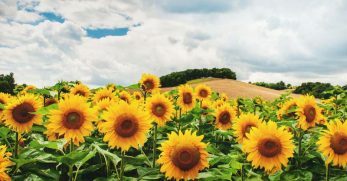 Other examples of plants that are great to group, include flowers such as black-eyed Susan, coneflowers, coreopsis, or zinnias. Individual plants that make excellent pollinator forage include comfrey, oakleaf hydrangea, and rose bushes. Using large swaths of flowering ground covers is also helpful. Groupings of thyme and phlox are good choices. Different flower types attract different kinds of pollinators. To make sure you get a diversity of pollinators into your garden, offer plants with as many varied flower shapes as you can fit in your available space. Most of the mints have elongated flower heads that are beneficial for attracting a variety of bees. 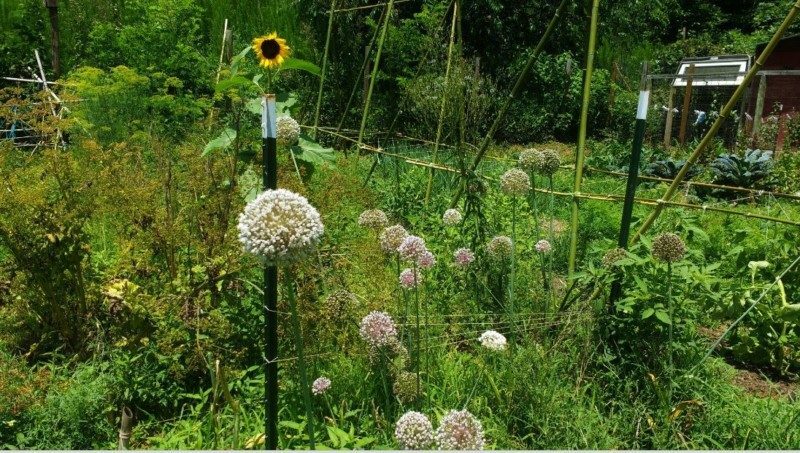 Alliums such as onion, garlic, chives, and leeks have globe-like flower heads that encourage wasps and flies of all sizes. Dill, coriander, Queen Anne's lace, and yarrow have umbel heads that attract smaller pollinators. Echinacea, Ox-eye Daisy, Black-eyed Susans, Coreopsis, and Gallardia Blanket flowers are super easy to grow, make excellent cut flowers, and entice all sorts of pollinators to come by for a snack or a rest on those large flower heads. Fast-growing edible annuals like sunflower and buckwheat play the perfect hosts for most kinds of pollinators and their prey. Pollinators, like people, need shelter to survive harsh conditions. 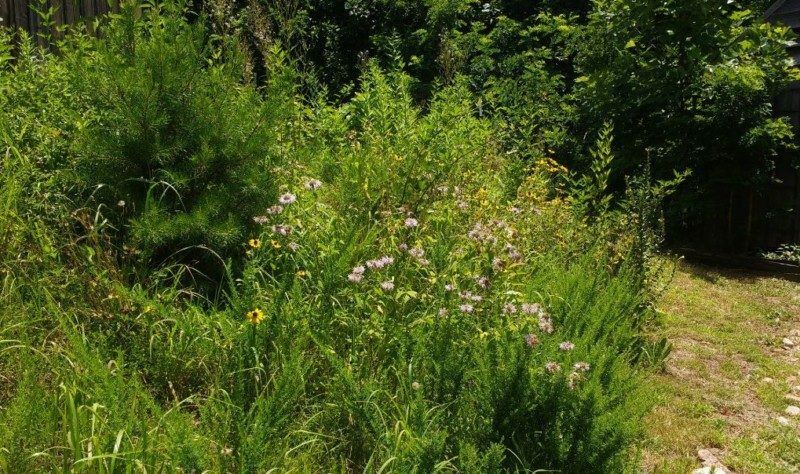 There are a few fundamental ways to provide great year-round habitat for your pollinator population. 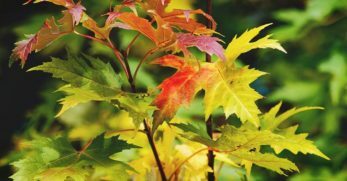 Most of us gardeners have been educated to keep tidy gardens to deprive pests of places to overwinter in our garden. Unfortunately, as we dutifully rake out leaves and weeds and remove branches and twigs, we also eliminate all our prime pollinator real estate in the process. I know from experience that when I have lots of pollinators, my pest populations tend to be pretty minimal. So, I throw caution to the wind and leave debris all over my garden year-round. In fact, my standing practice is to leave large piles of seed-free weeds composting in random locations throughout my garden. I never rake leaves. I leave all my winter killed plant biomass in the place where it lived and died. All this stuff eventually decomposes and enriches the soil with little to no work on my part. It acts as a mulch to protect the soil through winter. And, most importantly, it offers many of my pollinators a haven for all seasons. Now, that being said, if I do have any pest-infested plants, I feed those to my goats or chickens. Or, I burn that plant matter to make good and sure those pesky critters can't come back to haunt me later. I also do a lot of hand-picking of pests throughout the growing season to keep my pest populations under control as well. If you are not quite ready to be as cavalier as I am in your approach to pollinator habitat, then at least consider leaving a few areas near your garden untidied to give pollinators nearby options for winter-safety. 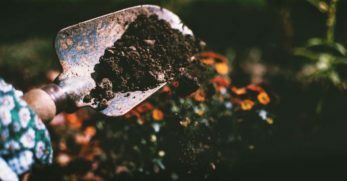 Some pollinators also like uncovered, unamended soil – also known as dirt. I have a few areas of my property that I allow to be eroded and degraded by nature because I know those make great habitat for ground-nesting native bee populations. During the reproductive season, pollinators also appreciate some fancier accommodations. Bark-lined butterfly houses offer a respite from predators. Installing mason bee motels or pollinator palaces are great ways to encourage solitary bees to procreate and pollinate your backyard. Some pollinators can swim or float on water, but many can't. Offering shallow water sources in, or near, your garden can also draw pollinators to the area. I use several methods to make sure my pollinators always have access to water. First, I have a few ponds on my property. My ponds have shallow entry points where pollinators can get to the edge and take a drink without needing to go in the water. I also float aquatic plants in my ponds so pollinators have a place to perch if they can't find the edge. Many of these plants also flower, so pollinators can even eat while they drink sometimes. I have lots of small containers filled with rocks scattered about my property too. These catch water when it rains. In drought periods, I will occasionally fill them with my watering can to make sure pollinators have options. 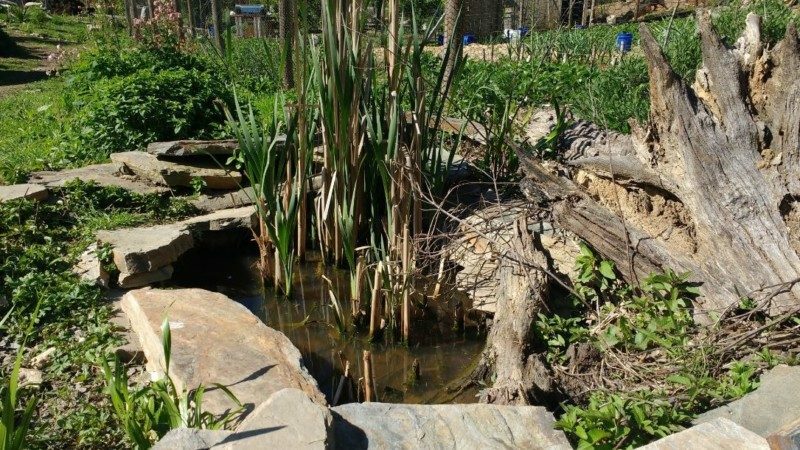 The rocks give the pollinators something to land on similar to using the shallow end of the pond or aquatic plants to drink without drowning. I am guessing that by now your wheels are turning with all the stuff you want to do and plant for your pollinators. I encourage you to plant as many pollinator-friendly plants as possible anywhere you can fit them in your landscape. Heck, even get your neighbors to plant some too if you can! 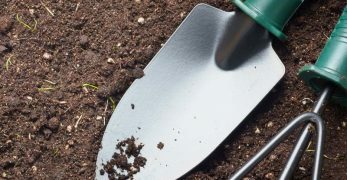 If you have limited space or time for planting, then consider focusing your efforts on developing opposite sides of your garden, like bookends. For example, if you set up pollinator sanctuary areas on the East and West sides of your garden, you'll encourage those pollinators to fly back and forth across your garden between those sanctuary areas. As they cross the air space in between, they'll also stop off at all your garden plants on the way. I have to admit, turning your homestead into a pollinator sanctuary has one more benefit that I didn't mention before. 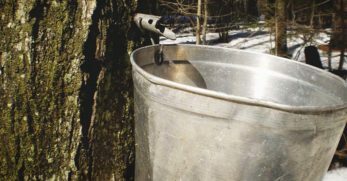 It makes your homestead even more beautiful! 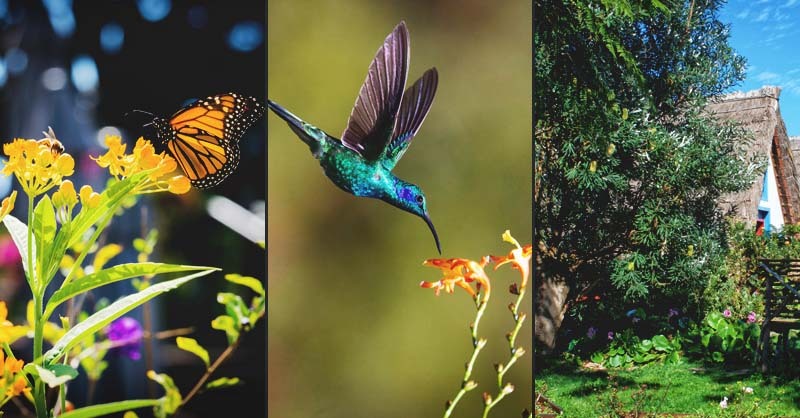 Not only will you have lots of flowers growing nearly all year long, but you'll have thousands of butterflies, singing birds, a bonanza of bees, and other flying friends transforming your homestead into a paradise-like environment for you to enjoy. Go make your homestead a sanctuary for pollinators and a paradise on earth for you!